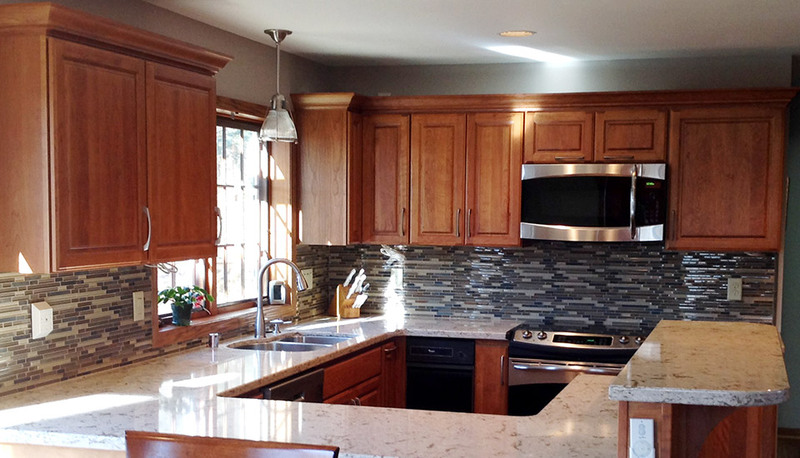 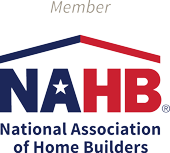 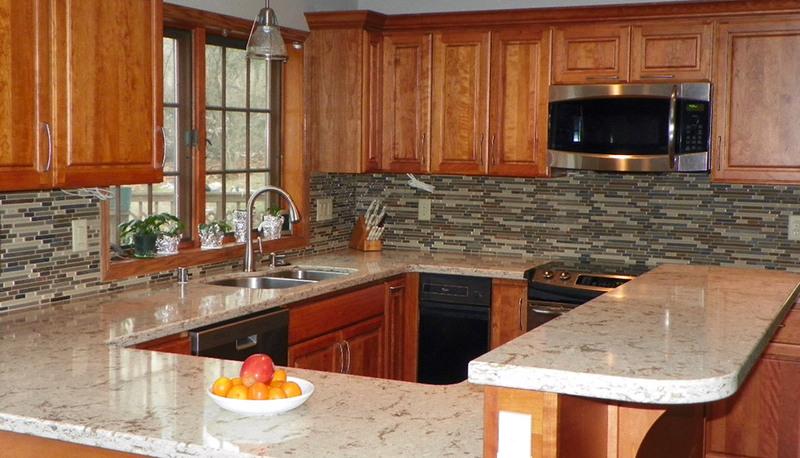 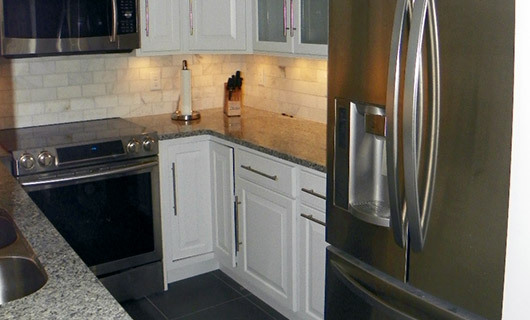 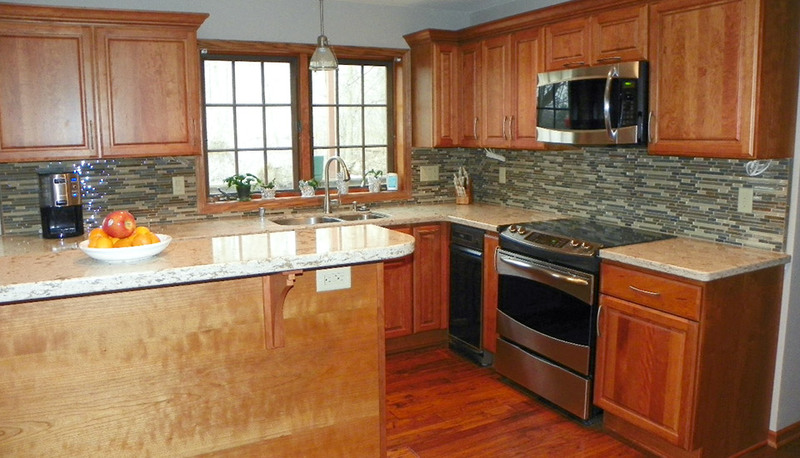 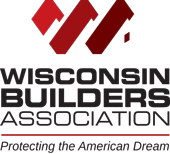 Our clients were ready to completely overhaul their kitchen and we were happy to help! 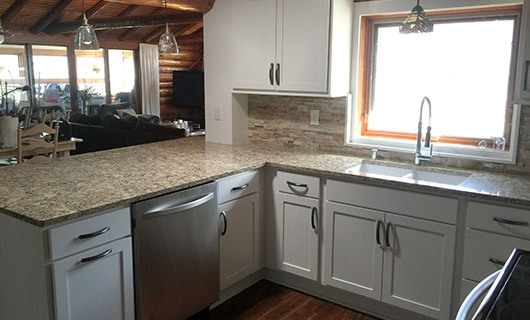 The initial kitchen, while well-loved, was certainly ready for an upgrade – it had a cramped floor plan with outdated cabinets, worn countertops, and needed a general update. 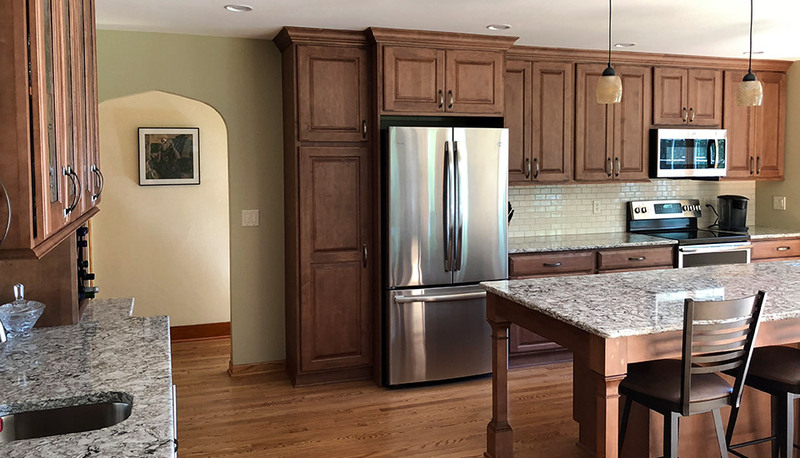 We worked directly with our clients and kitchen designer to come up with a new luxury kitchen built with custom cabinetry, quartz countertops, tile backsplashes, and updated lighting. 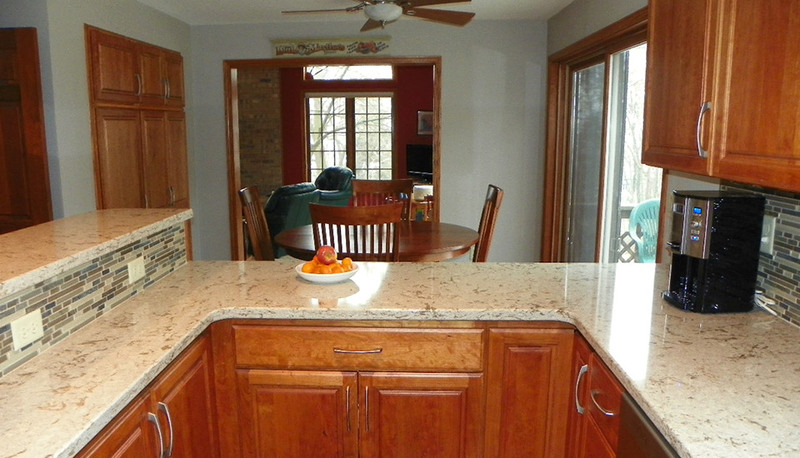 A new color scheme with fresh paint and new wooden flooring frame the kitchen perfectly. 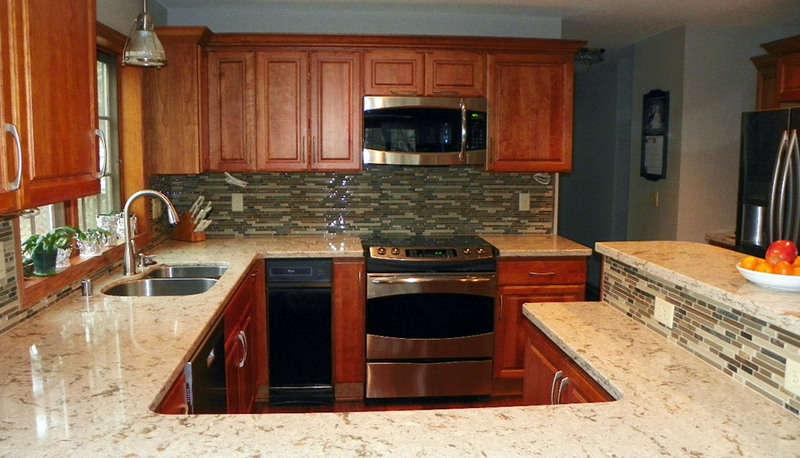 This new kitchen is ready to make new memories for years to come!